These are delish!! But watch them carefully. 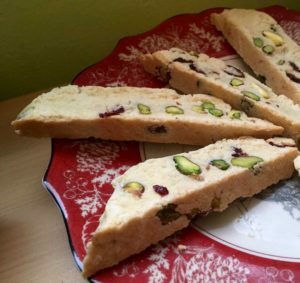 The first batch I made was exquisite, perfectly crunchy yet also chewy, which made me cocky and neglectful the second round, and made the biscotti a little crunchier than I would have liked.